As well as tiny wearable devices. MIT researchers are developing an alternative to lithium batteries that uses absolutely no toxic materials and isn't prone to spontaneous combustion. This alternative source of power takes the form of wires made out of carbon nanotubes -- the same cylindrical carbon molecules used to create the darkest material on Earth. Those wires produce electricity if you heat them from one end to the other. That's because the heat carries "electrons with it like a bunch of surfers riding a wave" through the carbon nanotube bundles. They do need a combustible material to burn, but the team made sure to use a material that's also benign and non-toxic: ordinary table sugar. 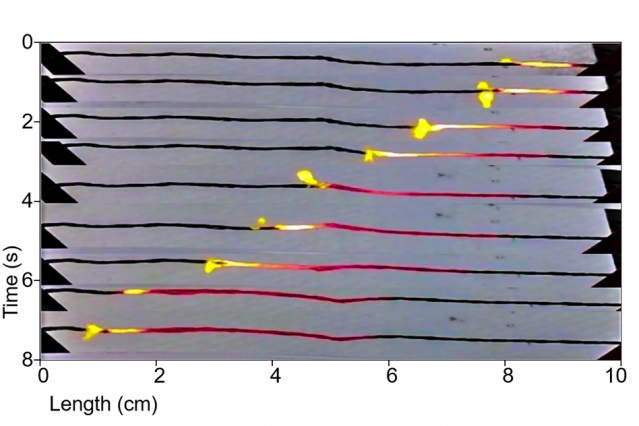 In their current form, the carbon nanotube wires are one percent efficient in converting heat to electricity. While that doesn't sound like much, that's still 10,000 times more efficient than what team lead Michael Strano originally reported when he discovered that carbon nanotubes can be used as a power source. Other combustible materials besides sugar could improve their efficiency even further. The team already proved that the wires can power simple devices like LED lights, but it'll take time before the technology is ready to compete with lithium-based batteries. This power source could be scaled down for tiny wearables that are already hitting the market. But the researchers believe it could also be scaled up for use with deep-space probes. It can remain dormant for many years as the probe journeys through space and provide the power it needs whenever heat is applied.